Does your ministry have the X Factor? Small Church – one Sunday night I attended a small young adult ministry with maybe 20 people. The space was a borrowed venue and didn’t really work for the group. When the service started the mood in room changed and this small group of people seemed to be doing something big. It felt like the service was part of God’s bigger plan for His Church. When I left there I thought that the small group of young adults really had something, they had it right. Sometimes we can walk into a ministry as a guest and sense something straight away. Perhaps you get a positive sense from the minute that you walk into the room or maybe when you meet the people. Often it doesn’t have to do with the physical space but what seems to be happening spiritually in a ministry. Some people call it the “X factor” and Craig Groeschel uses the term “it”. Some people have “it” and other people don’t have “it”. 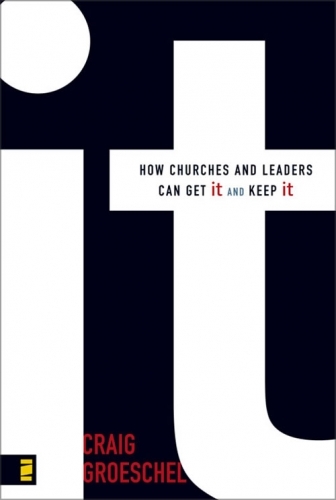 Would your ministry as it stands now have “it”? 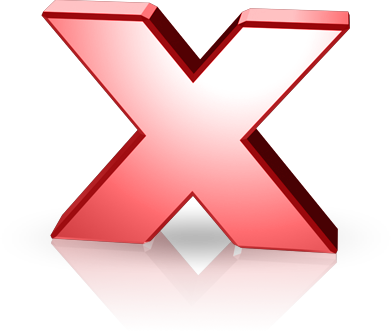 Does your ministry have the X Factor? Why do they have it? We look at the church up the road or in the next suburb and envy what they have. We look at their bigger numbers or bigger budgets or bigger facilities and wish we had what they have. We think that it is what they have that makes them better and it is what we don’t have that makes us struggle. Why don’t they have it? We can look at the church up the road or in the next suburb and wonder why they are struggling. “It is so easy” we tell ourselves and we think the other churches just doesn’t get it. We think it is what we have that makes us better and we judge them by what they don’t have. In his book “It, How Churches and Leaders can get It and keep It”, Craig Groeschel reminds us that every church has the Holy Spirit. However some churches are able to take what God has given them and make it spectacular. It is the same with musicians who have the X Factor; anyone can play music but some singers have that extra something that sets them apart. Vision – without a vision a group will perish. The same is true with your ministry. If you want to get it, the X factor, then you have to know where you are heading and why. Divine focus – Groeschel suggests that if you chase two rabbits you will miss both. If you want your ministry to grow then you have to narrow the focus. Ask God for divine inspiration about what your ministry should really focus on. Camaraderie – those ministries that have it, the X factor, have a friendship that draws you in; you want to be a part of their group. It is important to be serious about sharing life together and having a lot of fun together as well. Innovation – these ministries with it, the X factor, don’t make excuses as they find a way to do ministry with what they have. God often directs by what He doesn’t provide. Turn what you don’t have into an opportunity and a strength. Failure – Groeschel says that failure is not optional, it is essential. Those ministries that have the X factor try things and are prepared to fail in order to be effective. When a ministry plays it safe you can tell and people don’t join ministries that stagnate to play it safe. Outreach – ministries that have it, the X factor, don’t want to keep it a secret they want everyone to know. These ministries will reach out into their community rather than looking to keep their current members happy. The most important thing to remember is that it is not about the building or the budget. In his book Groeschel says that the days when his church met in a double garage with no money were some of the best ministry they did. When a church gets better buildings and resources it can think that it can buy its way to success. The Holy Spirit can’t be bought, it comes to those who believe the Gospel and have a heart for sharing this Good News. My prayer for you is that your ministry can get IT, the X factor. And if you have the X factor my hope is that you can share it around because there are a lot of ministries that would like some. For a sample of the “It” talk by Craig Groeschel at the Global Leadership Summit click here.